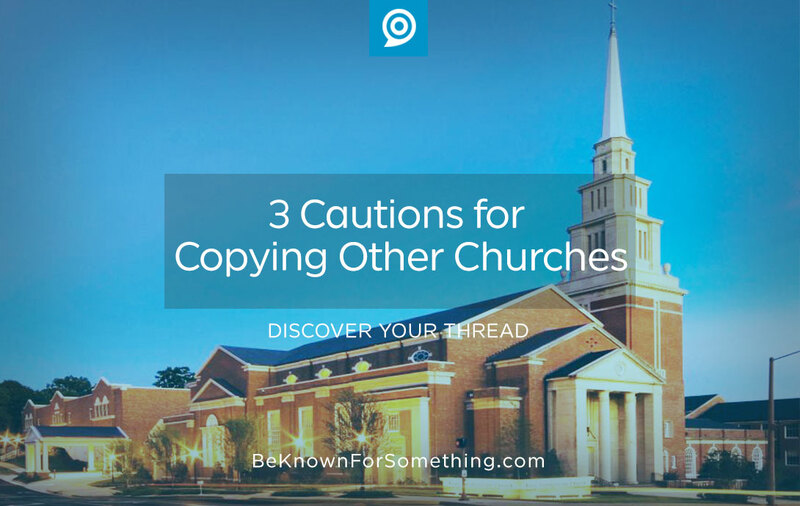 Everywhere you turn (or google), it’s obvious that local church leaders and Pastors are copying each other. The same sermon series, same graphics, same communication strategies. In fact, I recently saw one church using a very similar logo from another church. Ugh. According to them, they’re in a different area of the country so “it’s fine”. Putting legal copyright and trademark issues aside (reluctantly), I’m not sure ethically if we should be freely sharing, borrowing or outright stealing ideas, concepts, or artwork. But no matter how many in the communications world throw up caution, I don’t think it’s slowed. It’s so much of a problem that many don’t see it as a problem. Make sure they’re growing and thriving. The vast majority of churches (80+%) aren’t growing. Even some of the churches that appear to be cool, branded, and amazing, aren’t actually growing. In fact, many are producing high-cost graphics and getting very little return on the investment. Be careful. If you copy them, you may be adding expense and also replicating their disappointing outcomes. Make sure they’re reaching a similar audience. Good communication (you know, the effective type that people respond to) directly corresponds to the receiving audience. For example, if you’re talking to vegans, a conversation about juicy steaks will not be well-received. So, if your audience is different (demographically or in needs) from the other church’s, you risk everything totally failing. It’s better to research your community and congregation and build your own communication strategy based on what they want. The chances of your audience matching “theirs” is slim. Make sure you make it your own. Ok, you’ve decided to still copy (as ethically as possible, of course — like asking the other church if you can use their materials); please use your creativity to make it your own. How? Start with the solution or benefit that your church is known for (your thread) and work the “adopted” concept closer to your thread. Or change their colors to your brand colors or fonts to your fonts. Or maybe consider the design style that your brand has established — and move the concept toward your graphic standard so that you’re making it your own. Often, during this process, the borrowed concept becomes uniquely yours. The biggest issue in all of this? 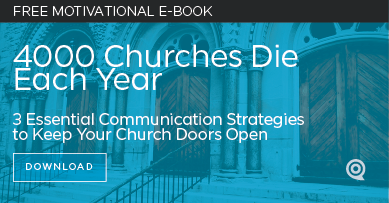 Many churches haven’t done the groundwork for good church communications and branding (I’d suggest my book, “Be Known For Something | Reconnect with Community by Revitalizing Your Church’s Reputation” to get started). Often, after success from using another church’s materials, it becomes a crutch and it becomes difficult to reach the standard of the other church’s work. There’s no better time to start doing original work. Who knows, it may turn out so well that others will want to copy you!